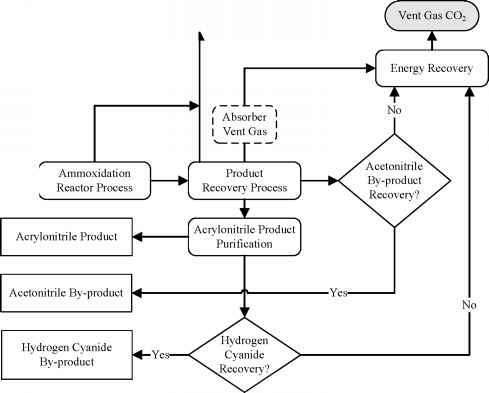 Figure 2-22 Industrial wastewater component of total point and nonpoint source loading of BOD5 ca. 1995 by catalog unit (percent of total). Source: Bondelid et al., 2000. BOD5 Loading From CSOs Effluent loadings for CSOs were based on an analysis performed in support of the 1992 Clean Water Needs Survey (CWNS) (Tetra Tech, 1993) and subsequently adopted for the NWPCAM. During this 1992 CWNS, it was estimated that there were approximately 1,300 CSO facilities in the United States (USEPA, 1993). The number of facilities was substantially reduced to 880 during the 1996 CWNS. The effluent loading for CSOs used in the NWPCAM is based on computing a pulse load based on the runoff volume and pollutant load associated with a 5-year, 6hour storm event. Runoff was computed as a function of the combined sewer system's population, service area, and imperviousness. For the purposes of the NWPCAM, the pollutant loading used in the model was estimated to yield a national BOD5 loading of 15 mt/day (Bondelid et al., 2000). As expected, most of the CSO loading is accounted for by older cities in the New England, Middle Atlantic, Great Lakes, Ohio River, and Upper Mississippi basins. Sources Nonpoint source BOD5 loading data were developed on a county-level basis by Lovejoy (1989) and Lovejoy and Dunkelberg (1990), with urban stormwater runoff and rural runoff loadings reported separately. These values were converted into loadings allocated to each catalog unit in the contiguous 48 states based on the proportion of a county's area in a given catalog unit. For the NWPCAM, the rural loadings were disaggregated based on stream length in a given county while urban loadings were disaggregated based on stream length and population associated with a given stream. Using the loading data compiled for the NWPCAM, the national catalog unit-based distributions of urban stormwater and rural BOD5 loading are presented in Figures 2-23 and 2-24 (urban) and Figures 2-25 and 2-26 (rural). The map sets present both the magnitude of the loading rate (as metric tons per day) and the percentage of the total point and nonpoint source load accounted for by the urban and rural runoff contributions, respectively. With the exception of urban areas on the west coast and in the Midwest and Northeast, low loading rates (< 0.5 mt/day) characterize most of the nation's watersheds for urban runoff loads. In urban areas, loading rates are typically less than 5 mt/day, accounting for about 25 to 75 percent of the total point and nonpoint source BOD5 load discharged to a catalog unit. Rural loading rates of BOD5 are characterized by a distinctly different geographic distribution, with the highest rates (> 25 mt/day) estimated for the upper Missouri basin. Intermediate loading rates of 5 to 25 mt/day of BOD5 characterize rural runoff in the Missouri, Upper Mississippi, and Ohio river basins. The lowest rates (< 0.5 mt/day) are estimated for the coastal watersheds of the east coast and Gulf of Mexico and the arid areas of the western states. • Rural nonpoint source loads of BOD5 are the dominant component (> 75 percent) of total point and nonpoint source loads in vast areas of the nation, principally west of the Mississippi River and in the Ohio River Basin. • The geographic distribution of relatively low contributions of rural runoff (< 25 percent) is consistent with the locations of large urban-industrial areas (e.g., New York, Boston, Miami, New Orleans, Chicago, Seattle, San Francisco, Los Angeles). From a national perspective, BOD5 loading from municipal facilities currently (ca. 1995) accounts for only about 38 percent of total point source loadings and only 21 percent of total loadings (point and nonpoint). Industrial facilities (major and minor) account for about 62 percent of total point source BOD5 loadings and 34 percent of total BOD5 loadings. Rural nonpoint source loads account for about 40 percent of the total BOD5 loading rate. Urban stormwater runoff and CSOs, although significant in most urban waterways, account for a small share (5 percent) of the total nationwide load (Bondelid et al., 2000). Based on this analysis of contemporary sources of loading of BOD5, continued maintenance and improvement of water quality conditions of the nation's surface waters will clearly require an integrated, watershed-based strategy, such as that presented in the USEPA's (1998) Clean Water Action Plan, including the appropriate management of point and nonpoint sources of BOD5 and other pollutants (e.g., nutrients, suspended solids, toxic chemicals, pathogens).